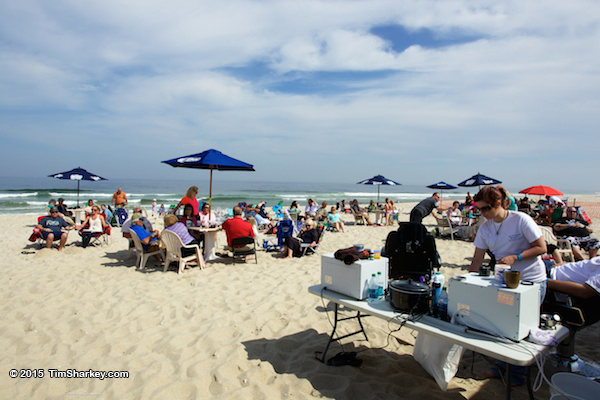 Chef Mike Jurusz, owner of Chef Mike’s ABG in South Seaside Park, will host his second annual beach benefit on Sunday to support Paws 4 Vets, an organization which matches service animals with veterans suffering the aftermath of war – physical or otherwise. 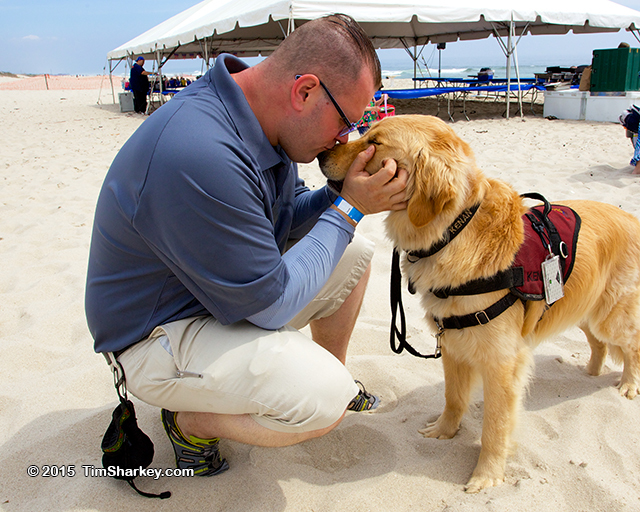 Paws 4 Vets was responsible for providing Campbell with Kenan, his service dog, who he credits with saving his life. The organization, Campbell told Shorebeat last year, operates under a “pay it forward” system, where veterans matched with service dogs are asked to help fund canines for others. Jurusz offered his beachfront restaurant to Campbell as a fundraising opportunity, organizing numerous local chefs to prepare food at a beach party. This year, Jurusz is continuing the new tradition with a second event that he hopes will be even bigger than the first. This year’s event will, again, feature dishes from eight local chefs, local beer, wine and liquor from sponsors and a gift auction. There will also be raffles and prizes, plus face painting for kids. The event will be held this Sunday, June 12 from 12 noon to 5 p.m. The cost is $50 per person. A Facebook page has been set up to keep those interested informed of the benefit. Tickets can be purchased on the Chef Mike’s ABG website.